Proceeds benefit Groundwork & Suzy's Caring Place; both serving individuals impacted by domestic violence. The Groundwork Program was established in 1983 to address the needs of domestic violence victims and provide critical resources to help them break the cycle of family violence. Groundwork is a leading provider of comprehensive services to those experiencing abuse and violence in the home. 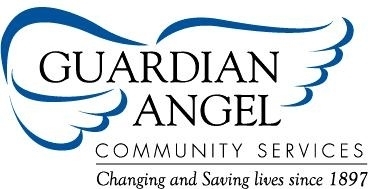 Central to Groundwork's mission is the strong conviction that all victims of domestic violence have the right to realize their human dignity; regain control of their lives; develop ways of living that promote harmony and well-being within their families, and exercise their legal rights with and through the support of an informed community. All services are offered at no charge. Services are also available in Spanish. 24 Hour Hotline The hotline is accessible 24/7, 365 days per year. We provide domestic violence crisis intervention, information, and referrals. The number is 815 729 1228. Emergency Shelter Our 20 bed shelter provides a temporary safe haven for women and their children who are victims of domestic violence 365 days per year. Advocacy Legal advocates, while not lawyers, assist victims of domestic violence in obtaining orders of protection, pressing criminal charges and navigating the court system. Individual Counseling Our trained professional counselors provide one-on-one counseling to both adults and children. Victims can explore, in a safe and supportive environment, the impact of domestic violence on their lives. It also gives them the opportunity to define goals to self-empowerment. Group Counseling Together with others who share the pain of domestic violence, victims become survivors in talking about their experiences and realizing that they are not alone. Led by a trained professional counselor, group participants have the opportunity to learn new life skills and regain their sense of self-esteem and well-being. Support Groups and Community Presentations Support groups for adult survivors of domestic violence are offered at several locations throughout the community. Also, members of our trained professional staff are available to give educational presentations to churches, community groups and other organizations. In-Service Seminars and Workshops Our seminars and workshops offer social service, law enforcement and education professionals valuable resources and information about issues of domestic violence. Suzy's Caring Placeprovides domestic violence victims a home to stay for two years to build independent, violence-free lives after receiving emergency shelter and community-based services. Central to the mission is aiding victims to realize their human dignity, to exercise their legal rights, and to develop renewed ways of living that promote harmony and well-being within themselves and their families. Suzy’s Caring Place offers a community based transitional living program for victims and their children. Our purpose is to assist the victim to disengage from their abuser permanently, regain their identity, grow to be emotionally strong once again, and to successfully live on their own. The transitional living program provides 20-30 women and their children an opportunity to stay up to two years in a home setting. Our purpose is to assist the victim to disengage from their abuser permanently, regain their identity, grow to be emotionally strong once again, and to successfully live on their own. Advocacy Legal advocates, assist victims of domestic violence in obtaining and extending orders of protection, and navigating through the court system, while providing support.Life Skills With the assistance of the employment coordinator and case aide, the women will learn how to manage a budget, rebuild their credit scores, obtain job skills, understand leases and contracts, and learn to live a joyful life without the violence. Individual Counseling Through counseling services victims can explore, in a safe and supportive environment, the impact that domestic violence has on their lives. It also gives them the opportunity to define goals to self-empowerment. Support Groups & Community Presentations Support groups for adult survivors of domestic violence are offered at several locations throughout the community. Also, members of our trained professional staff are available to give educational presentations to churches, community groups and other organizations.